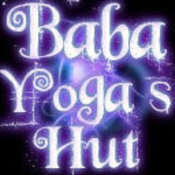 Baba Yoga's Hut offers a wonderful selection of Indian treasures, unique clothing, kurti's, kurta, yoga supplies, spiritual jewelry, buddhist jewelry, handmade items, Fair trade, meditation items, mala beads, Tibetan Singing bowls, statues, belly dancing accessories, Goddess decor, dream pillows and much more. Looking to buy with a purpose? Check out our fair trade line of clothing made with organic cotton and supports fair wages and empowering women in India. We accept Paypal, Google Checkout, Money Order, Check or Cashier's Check. Your order will be shipped within 24 to 72 hours Monday through Saturday. Combined shipping discounts - $1.25 off each additional item in your cart. 1st Class and Flat Rate Priority Mail shipping outside the U.S.
We give discounts on order of 10 or more of specified items below. To receive the discount orders must 10 or more in one purchase. For bulk orders a minumum of 10 or more yoga mats without the carrier. Bulk purchases for yoga mats are not limited to colors or types so you can mix and match any 10. Email us for pricing. For orders of 10 or more of same kind of jewelry of available stock receive a bulk discount. Hill Tribe, buddhist bracelets, buddha earrings and Aum pendant are available for discounts. In the event there are not enough in stock for discount others may be substituted upon approval. For orders of 10 or more of any mala beads receive a bulk discount. These are fast sellers so please email me babayogashut@yahoo.com for available stock. Shipping extra. For orders of 5 or more receive discount plus $4.00 each for shipping. For orders of 20 or more packs. Shipping time may vary from 2 days upto 8 weeks for delivery. In most cases it will be shorter time. BabaYogasHut doesn't have any items in their booth! Thanks for birthday wishes> Anyone dropping POSiTiVE energy my waY = definitely deserves my individual PERS0NAL eND0RSEMENT ~ Please take a moment to visit members’ (BabaYogasHut) b00tH next…MONTR0Se approves this message!